As you interview for your dream job there are a few considerations that you need to keep in the back of your mind. 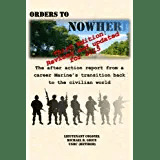 Unlike civilians who are free to pursue any and all employment opportunities, you may actually be precluded from taking advantage of some of the prospects out there because of your status as a member of the military. There are several areas of consideration that can seriously affect your future career and, if you are not careful, cost you thousands of dollars or land you in jail. This is not an all-inclusive list or discussion on the subject, but instead a look at three aspects of post-military employment that can get you into trouble. First is the most obvious one: your security clearance. When you leave active duty your clearance becomes inactive. That said, if you join a company during terminal leave or accept employment with a firm that requires a clearance before you get out, the company can keep your clearance active by adding you as an employee and sponsoring your clearance. If, however, you are unemployed (technically, even for one day) after you get out then your clearance will need to be reactivated. You have up to two years for reactivation, unless your reevaluation date is less than that. Top Secret clearances, for example, have a five year shelf life. If you get out at year four, then it is only good for another year. So you need to be careful on your resume and be sure to list your accurate clearance status (e.g., “Top Secret Clearance active until 2014” or “inactive Secret Clearance”). You don’t want to misrepresent yourself as having a clearance that has lapsed or expired! Second is the concept of Conflict of Interest. In a nutshell, this is a situation in which your work while in uniform places you in a unique position to either profit from your position or have undue influence over the matter at hand. An example of this is a contracting officer who can influence the spending of government dollars on a particular contract; he may be enticed to choose one bid over another if his future job depended on it. The same goes if he influences his military connections after he gets out to bias a contract decision. Not all instances of conflict of interest are as obvious, however. If you are seeking a job in your specialty area (which is perfectly logical and normal) it is a good idea to get a copy of the job description and show it to a Staff Judge Advocate (military lawyer). They can give you an opinion as to whether it conflicts or not. This is a big deal because often the simple appearance of a conflict may create problems whether a true conflict exists or not. Better safe than sorry…. Lastly, and most interestingly, is the rule against foreign employment. The Emoluments Clause of the U. S. Constitution prohibits any person “holding any office of profit or trust” in the Federal Government from accepting any gift, emolument, office, or title of any kind from any foreign state without the consent of Congress – and that includes retirees. In order for you to work for a foreign government you must first receive permission from your service secretary, as in the Secretary of the Navy, Army, or Air Force. Needless to say, this is not a simple process! You will need to apply for a waiver from the Secretary in advance otherwise you are breaking the law and the government may come after you to recoup the monies that you received up to the amount of your retirement pay. Ouch! 1. Your security clearance is a big deal for many employers because obtaining one costs thousands of dollars, and if you have an active clearance (particularly a Top Secret one) it makes you a more desirable candidate. Misrepresenting the status of your clearance, however, makes you a knucklehead. 2. Conflict of interest is a very murky and thorny problem. You can get yourself, your new company, and possibly other people in a lot of hot water (and potentially legal trouble) if you are not careful. Talk to your local Staff Judge Advocate if you have even an inkling that there may be a conflict between your current job in uniform and the one you are pursuing. 3. Even though you are retired you are still considered to be an office holder in the U. S. Government and as such must ask for permission to work for a foreign government. This can even apply to you if you are not directly employed by a foreign government but your company is; for example if you are in a law firm or consultant company and you receive a share of the profits that are received from a foreign government it is considered to be in violation of the law. Make sure that you are not going to get into trouble by researching who your prospective employer’s customers are.